If you poke around the WordPress.com world, you’ll see the term “Gravatar” used in reference to a comment or picture. But what is a Gravatar, and what kind of service does it provide? Read on to discover how to use Gravatar on WordPress.com. Well, under the hood, Gravatar’s primary feature is that it lets you set up an online profile picture — known as an avatar. This can be a picture of yourself or anything that represents you. But setting up a picture is only half the story. The real magic starts after that. Gravatar actually takes your avatar and makes sure that it follows you from website to website and appears next to your name whenever you leave a comment on a blog post, respond to a forum thread, and more. At the end of the day, Gravatar helps to visually identify your contributions and comments throughout the web, making it easier to tell yours apart from everyone else’s. 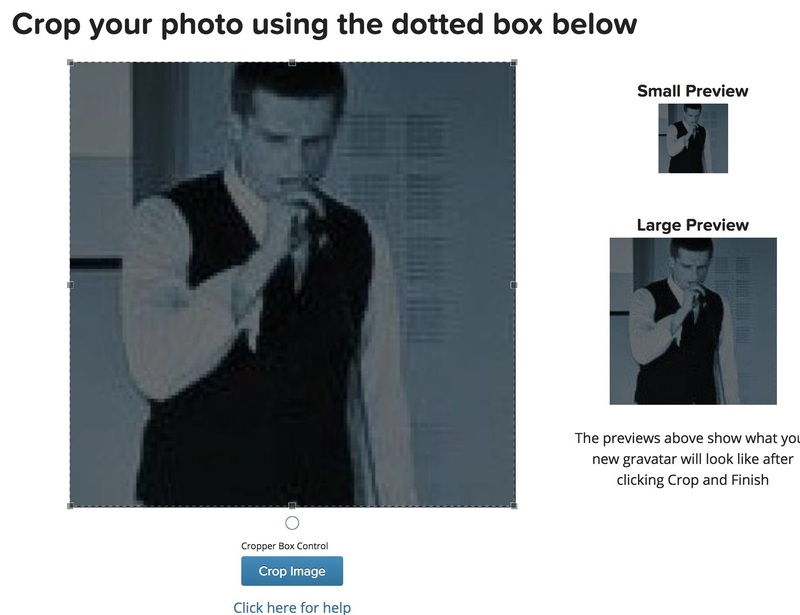 Whenever you post anything on a Gravatar-supported website, your picture will be automatically added. At the same time, Gravatar makes it easy to manage your profile picture and saves you from having to upload individual images to each blog or website that you want to comment on. It’s a huge timesaver, and it’s completely free to use. Now that you know what Gravatar is, go to https://gravatar.com/ and click on Create Your Own Gravatar to get started. 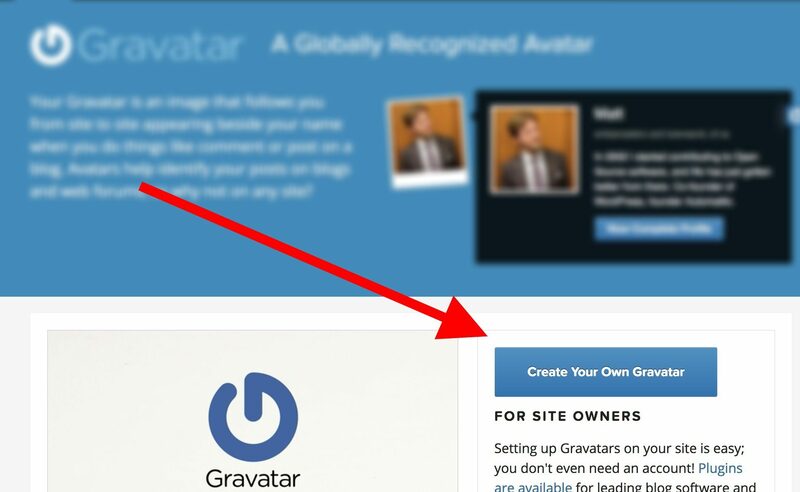 Gravatar integrates with WordPress.com, so you can use your account to log in to Gravatar. You can create a new account, too. The on-screen wizard will take you through the process step by step. You’ll also need to confirm your email address. From now on, your Gravatar picture will be automatically integrated with thousands of websites, blogs, and services throughout the web. Alternatively, if your website runs on WordPress.com, you can also change your Gravatar image from within the dashboard. After you sign up, Gravatar works automatically. Whenever you leave a comment on a Gravatar-supported website, your profile picture will appear. This gives you the opportunity to share something about yourself, telling people what you do and why they should visit your website. Is a Gravatar worth getting? In a word, yes. There really are no downsides to Gravatar. First of all, it’s completely free. Second of all, it gives you a consistent presence throughout the web whenever you comment on a website that supports it — and there are a lot of those. To start, nearly all WordPress websites support Gravatar (and around 30% of the internet runs on WordPress). Gravatar is also supported across many other blogging or social media sites. Gravatar is a straightforward and intuitive service that can help you maintain a consistent presence online. Signing up for Gravatar doesn’t take much time, but it can save a lot of time and effort in the long run as you promote yourself or your site all over the web. Previous PostIs It Time to Hire a Virtual Assistant?